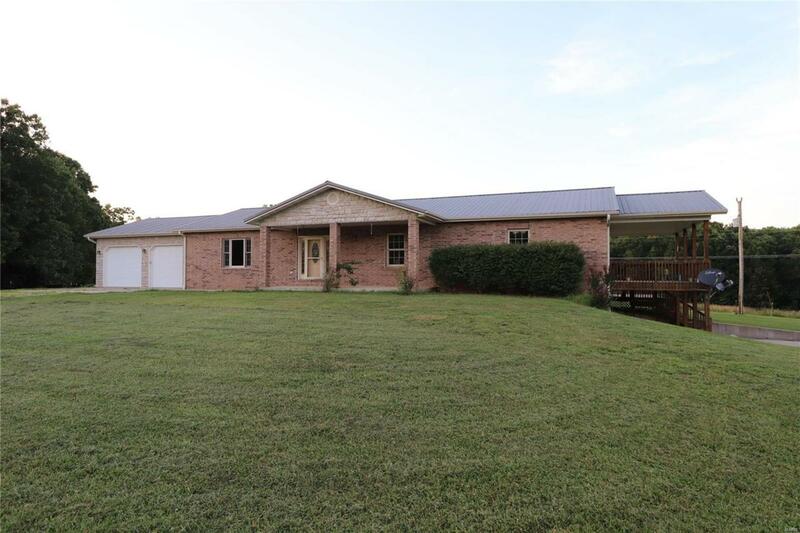 You can enjoy country living at it's finest in this 6 bedroom, 3 bathroom home with over 4,000 square feet sitting on 13 acres. Featuring an open floor plan and a full finished basement, including extra bonus rooms and a storm shelter. Entertain family and friends in the game room, furnished with a pool table and wet bar. Cool off on those hot, summer days in the above ground swimming pool or warm up during the cool evenings in the hot tub. Enjoy your mornings sitting out on one of the decks overlooking the fish pond, stocked with catfish, hybrid bluegill, crappie or large-mouth bass. A large workshop (33x75) with addition (20x40) sits behind the home, with a large (20x33) lean-to around back. The 13 acres provides some wooded areas, bringing in wildlife, along with open fields perfect for cattle or horses. A livestock auto-waterer included will help care for them as well. This is a one of a kind home, don't wait call to see it today!